The City is potentially correct in its assessment that basing employment on salary history could lead to further inequity. If the only people who can obtain high paying jobs are people with high salaries, then people with lower salaries might be forever stuck in jobs that pay less. Of course, this policy does not affect applicants. Potential employees can still disclose his or her salary if they believe that revealing salary history would give him or her an advantage in the hiring process. On the other hand, this ban might unnecessarily restrict an employer’s right to free speech and press. Employers want to know if potential applicants can do a good job. Salary history can be a good indicator of progress if a previous employer gave the applicant salary raises during the applicant’s employment. In contrast, an applicant who worked in the same position but didn’t get any raises might have performed worse than the applicant who continually received raises. 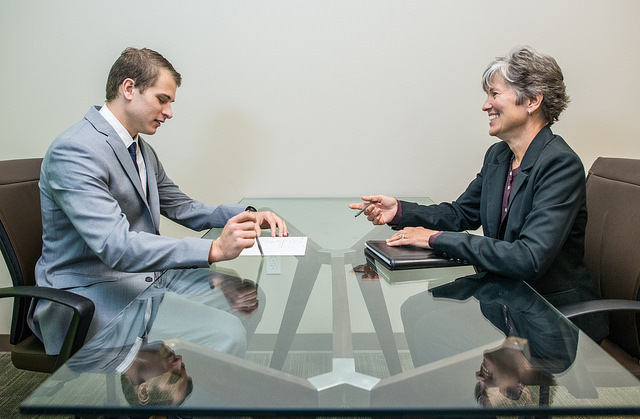 Of course, there are other ways for employers to learn how well an applicant might before. The employer can give applicants tests to determine basic competency. The employer can ask about industry knowledge based questions during the interview. Or the employer can simply call the previous employers and ask how well the applicant did. There are plenty of ways for employers to obtain the information that a salary history could reveal. The new law would minimally affect employers and it might help a few employees. Restricting economic class concerns to women and people of color only seems insensitive. Ironically, the webpage promoting this policy is itself potentially discriminatory. There are plenty of white men, especially with the ongoing opioid crisis, who need help. Class and economic issues should not be limited to race and gender only. New York City is fortunate that the Civil Rights Act and the 14th Amendment have been interpreted so that only advertisements which harm groups of people are considered illegal. However, economic class is not a protected class under the law. The City cannot justify its new rule on the basis of class discrimination. The language about specifically helping women and people of color was probably thrown in to help strengthen the City’s authority to pass such a law, since it does restrict employers’ free speech.